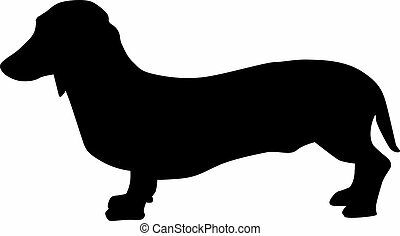 Dachshund silhouette. 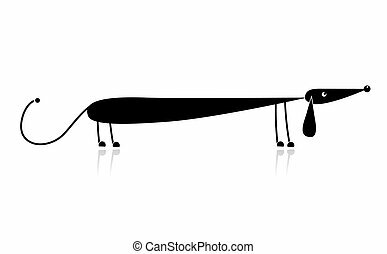 A silhouette image of a standing male dachshund dog. 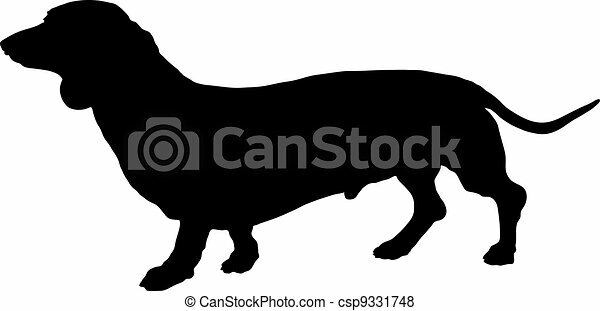 A silhouette image of a standing male Dachshund dog. 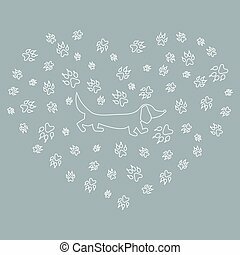 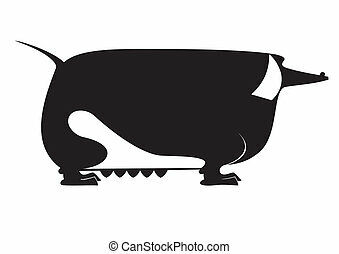 Nice picture of dachshund silhouette on a background of dog tracks in the form of heart on a colored background.